Vision as defined by Merriam-Webster is (noun) “the ability to see: sight or eyesight; something that you imagine: a picture that you see in your mind; something that you see or dream especially as part of a religious or supernatural experience.” In Biblical times God sent visions to people as prophesies. Many of the visions are recorded and have yet to be fulfilled but sometimes we even read of visions that were fulfilled into real life events, such as the vision that Joseph had when the angel appeared to him to announce Mary’s pregnancy and the vison that Paul had of the man that told him they needed help in Macedonia. Vision is essential for strategic plans in all aspects of life. 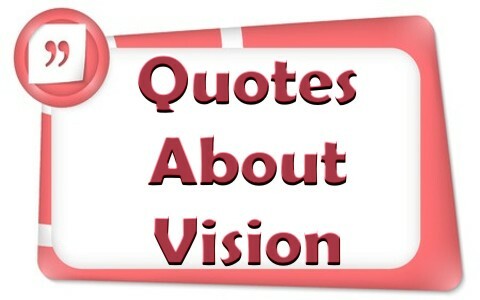 Take a look at my 20 Christian quotes about vision. 1. Where [there is] no vision, the people perish: but he that keepeth the law, happy [is] he.